Do you know how much your child writes in school? We think you’d be surprised how little. 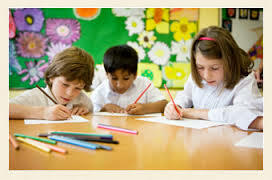 Contact ChungDahm ReadWrite to learn how your child can benefit from writing more. Writing is critical to your child’s academic success. Writing is a skill, not a talent. Get your child’s academic career off to a good start. It's never too early to lay the foundation for exceptional reading and writing skills. Chungdahm ReadWrite offers a tailored curriculum for students in grades 1&2. For a free diagnostic test/consultation, please contact us.